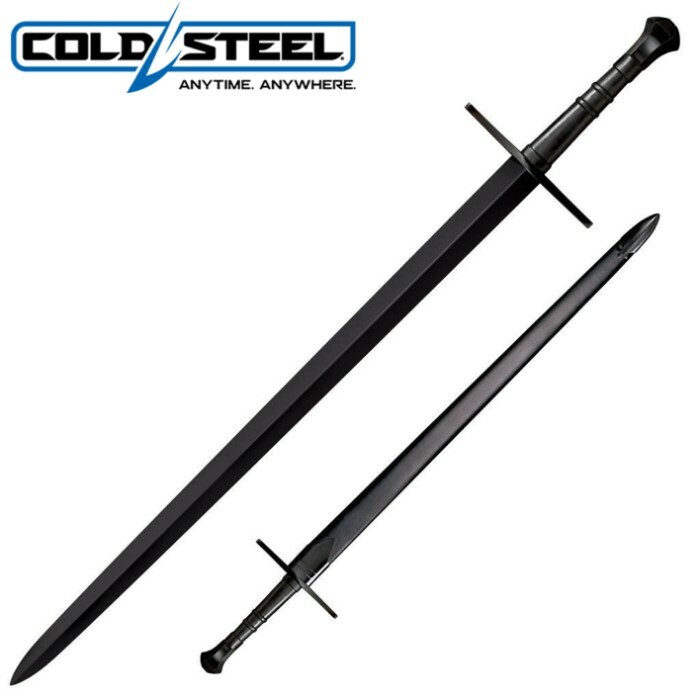 This Cold Steel Man at Arms Hand and a Half sword is a savage workhorse plain and simple. The double edged blade is made of 1055 carbon steel and honed to a razor-sharp edge on both sides. It's an insanely large sword at 42 5/8 inches in overall length and could literally chop a pig in half! If you've been looking for that unique sword to spearhead your collection, THIS IS IT! This awesome sword includes a leather scabbard with blued steel fittings.